Route planning and building management improvement lowered energy and fuel use. According to new research from Carbon Trust, the use of mobile technology is helping to prevent 180 million tons of carbon emissions annually in Europe and the United States. The study found that what drove the savings were improvements in areas like route planning and building management, both of which decreased the use of fuel and energy. Furthermore, the research pointed out that smartphones are allowing people to control their electricity and heating systems with greater efficiency, and are enabling them to work from home, reported edie.net. The 180 million ton reduction is about five times larger than the emissions produced from mobile network operations. According to Andie Stephens, Carbon Trust senior consultant, mobile is going to play a key role in the climate change fight. However, the current impact the technology is having is only a small part of its true potential. Stephens added that “Given the urgency of the challenge the world faces then there is a clear case to accelerate the adoption of the various mechanisms through which mobile can help to cut carbon. It should also help promote green growth in the developing world.” Stephens explained that mobile technology cold help emerging economies avoid the need for certain kinds of infrastructure with a heavy carbon footprint. 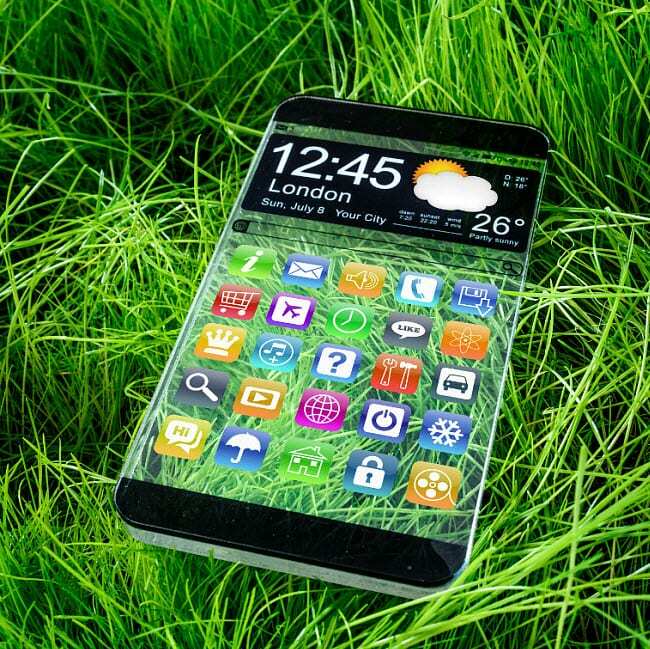 Mobile technology can reduce future carbon emissions even further. The research also pointed out that there were other potential areas where mobile tech cold help lower carbon emissions in the future. For instance, 55 percent of the car drivers surveyed said that they would consider having a device installed in their vehicle that would lower their car insurance if they drove safer and more eco-friendly. On the other hand, 48 percent said they would be more likely to use public transportation if there was a mobile app that would tell them when they could expect the next transport service to arrive. In addition, a survey of 4,000 smarpthone users across the United States, Mexico, the United Kingdom, Spain and South Korea, found that half of survey participants would be willing to use their smarpthone for the purpose of selling, renting or sharing what they owned with others. The mobile technology carbon emissions research conducted by Carbon Trust, a not-for-dividend company helping organizations to lower their carbon emissions and improve their resource efficiency, was funded by Telefónica UK (02), Global e-Sustainability Initiative (GeSI), BT, EE, and Vodafone. Great news… except that mobile technology when used in such a way as to reduce carbon emissions is extremely limited in those countries (i.e. China and India) that have high carbon emissions per capita. I doubt there is much room in the US and Europe for much more carbon reduction via mobile technologies.